Are you looking for the best WordPress auction plugins? You’ve come to the right place. With the right plugin, you can turn your humble website into a money-making machine. Whether you’re looking to create a small auction site or you want to give eBay some monster competition, the perfect plugin can help you do it. In this article, we’ll share our handpicked list of the 9 best auction plugins for WordPress on the market. Before you can download and install the best WordPress auction plugins, you’ll need a WordPress website. There’re 2 types of WordPress websites: WordPress.com, a hosted platform; and WordPress.org, a self-hosted platform. For your needs, you’ll need the latter. However, feel free to check out our article on all the differences between WordPress.com and WordPress.org if you still have questions. In order to run a proper auction site, you’ll need a domain name, web hosting, and an SSL certificate. A domain name is your website’s address on the web, like Google.com or IsItWP.com; also known as your URL. Web hosting is how your files are stored online. Basically, if your domain name is your house’s address, web hosting is your house. And an SSL certificate is what makes your domain name secure and allows you to confidently accept online payments. When you install an SSL (Secure Sockets Layer) certificate on your site, your website URL will be prefixed with https instead of http. Additionally, a small green padlock icon will be shown in front of the https which lets your visitors know they’re on a secure connection. This will give them the confidence they need to bid on your auctions and submit payments. Think the cost of a domain name, web hosting, and an SSL certificate is going to cost you a pretty penny? Think again! We’ve worked out a deal with Bluehost that gets IsItWP readers a FREE domain name, FREE SSL certificate, and a MASSIVE discount on web hosting! Once you’ve gotten everything you need, feel free to read our step-by-step guide on how to build an auction site on WordPress. All set? Then it’s time to check out the 9 best auction plugins for WordPress! When you think auctions, chances are you think about the most famous online auction website ever: eBay. Wouldn’t it be nice to bring the power of eBay-type auctions to your personal website? Well, now you can! YITH WooCommerce Auctions is a plugin that you can seamlessly add to your website. This tool has a variety of great features that give eBay a run for its money. Not only can you set up your own auctions with your product catalog, but vendors who are affiliated with your website can add products to your online auction house. As a result, you’ll make a cut of the money your vendors get when a product sells. It’s also possible to add a “Buy Now” button to any product. Simply set the price, let the auction take place, and if someone wants the product, they can buy it outright. Get Started with YITH WooCommerce Auctions Today! WP Auctions is a fully supported auction program that you can easily add to any WordPress website. The creators boast that this simple zip file can be added to your page in 2 minutes or less. Once you’ve added the plugin, you can tweak it to your liking and start adding products. If you’re looking for profits, look no further. You don’t have to give a cut of your successful sales to a third party. You get to keep 100% of your profits! There’re very few limits to the types of products you can auction on WP Auctions. You can put cars or motorcycles up for sale, sell land or real estate, let people bid on antiques or rare collectibles. The sky is the limit! Get Started with WP Auctions Today! The Ultimate WordPress Auction plugin is a buyer and seller friendly tool available for those who want to set up an auction house, but don’t know much about coding. Downloading and installing this plugin only takes a few minutes. Once it’s up and ready to go, you can start posting items for people to bid on. You can upload multiple products, add a detailed description, up to 4 images with the free version, and allow people to start bidding. The buyer end is easy to navigate and understand. Customers can bid with their credit card, debit card, or PayPal account. As they bid on products, they can turn on email notifications so they know whether their bid is still on top. The notifications make it easy to start a fun, competitive environment where people will have fun bidding on your products. 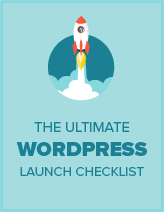 Get Started with Ultimate WordPress Auction Today! Are you looking for an auction plugin that’s a breeze to set up and completely customizable? WooCommerce Simple Auctions can help you add a unique, easy-to-use auction house to your website, regardless of what kind of products you have for sale. The company proudly boasts that this plugin can be added, customized, and ready to go in about half an hour. It has a slew of features that make it a true competitor with eBay. Once installed, you can go into the templates and create a custom theme that blends well with your website. You’ll also have the ability to set price increases per bid, starting times, ending times, and even buy it now buttons. As customers come to your auctions, they’ll be able to register by entering their payment information and they are all set. If they win the auction, their payment is processed, and you send out the product. It’s that easy. Get Started with WooCommerce Simple Auctions Today! We have looked at quite a few plugins that allow you to create auctions from the ground up. You may be wondering if there is a way to put auctions you’ve already created on eBay on your website. The answer is YES! All you need is the WordPress Automatic Plugin. This plugin can be installed in seconds. It allows you to import a whole host of things from other websites like YouTube, social media, your blog, and (most importantly) eBay. Once you’ve installed the plugin to your website, sign in with your eBay account information. You can then link your active eBay auctions to your preferred page on your website. After you’ve linked your website, you’re good to go! This plugin will update in real time. If you add a new auction to your eBay profile, it will automatically appear on your site. Get Started with WordPress Automatic Plugin Today! Do you want to add more than your eBay items to your website? If so, Auction Nudge is the perfect plugin for you. This user-friendly plugin allows you to quickly add your entire eBay profile to your personal website. You may find this plugin useful if you already have a reputable eBay account with a good feedback score. If a visitor comes to your website they’ll be able to see the products that you’re currently selling, your account on eBay, and your reviews as a seller. This is a great resource if you want appear reputable while you are switching your online auction house to a separate plugin, but want people to know that you’re not a new seller. Get Started with Auction Nudge Today! WordPress WooCommerce Marketplace Auction Plugin is a feature-rich tool that can be used with on virtually any website looking to establish a virtual market. Admins are able to add people to the list of individuals who add products to the marketplace. This plugin allows you to create 4 different types of auctions including; standard, incremental, automatic, and reserve. Each type of auction allows the user to customize and tweak the upload to suit their needs. On the buyer end, there are a ton of great features that will help keep the buyers on your page in the loop. They can set it up so that they automatically place a bid if someone outbids them. They can also request automatic emails when someone outbids them or an auction they’re following has ended. Get Started with WordPress WooCommerce Marketplace Auction Plugin Today! WordPress Auctions Plugin is designed for people who want to put items or services up for sale. It’s one of the top choices for those who want to offer their customers a unique range of options when shopping. You can create a custom economy by allowing people to “buy in” trading their cash for “credits” that they can use to bid on auctions. If you don’t want to use credits, don’t worry. They also allow you to use PayPal and traditional Credit Cards to make purchases instantly. The developer boasts that this tool has been tested on various WordPress platforms with many different themes. You’ll be able to design your auction page to blend seamlessly with the rest of your website. You can also install WordPress Auctions and have it running in just a few minutes. The extra settings allow you to go in and customize your auctions to give your customers a one of a kind experience. Get Started with WordPress Auctions Plugin Today! The final plugin we’re going to look at is called Woo Auction. They proudly state on the front page that this tool makes creating auctions easy. It takes mere minutes to install this plugin and get it set up on your website. Once installed, you’ll have access to a slew of features. You can create new product listings, set the price, set the increment rate on new bids, and even include a “buy it now” price for those who want to cut to the chase and make a purchase. There’re also widget options to make sharing and following your auctions easy for customers. On the backend, you’ll be able to access auction reports in real time. In a couple of seconds, you can look at individual auctions by number, or look broadly at reports set by day, week, month, or year. It’s your auction house; your rules. Get Started with Woo Auction Today! We hope this article helped you discover the best WordPress auction plugins. If you enjoyed this post, you might also like our list of the 7 best drag and drop page builders.